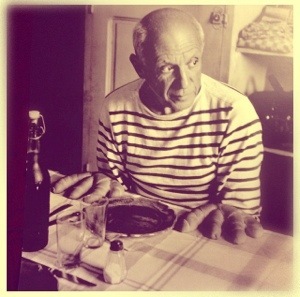 Born October 25, 1881, Malaga, Spain, Pablo Picasso, became one of the greatest and most influential artists of the 20th century and the creator (with Georges Braque) of Cubism. A Spanish expatriate painter, sculptor, printmaker, ceramicist, and stage designer, Picasso was considered radical in his work. After a long prolific career, he died April 8, 1973 in Mougins, France. Pablo left 1885 paintings, 1228 sculptures, 2880, ceramics and over 12,000 drawings at the time of his death.